What’s your state having delivered? If there’s one food item that we can all unite in appreciation of, it’s pizza. Loved by all, young and old, pizza is the perfect go-to meal when you can’t decide what to have for dinner or how to feed a hungry horde of guests. Folks in West Virginia prefer the pepperoni, but the people of Vermont and Wyoming aren’t fans. Looks like Utah and Michigan love topping their pizza with BBQ chicken! In a shock of the century, Deep Dish is most beloved by the people of Illinois. Alaskans love their keto options. Who knew? Texans and Georgians want all the meat they can get on their pizza! Nebraska loves their pizza Neapolitan style! Could it be due to all the ex-Italian mobsters hiding out there thanks to Witness Protection? 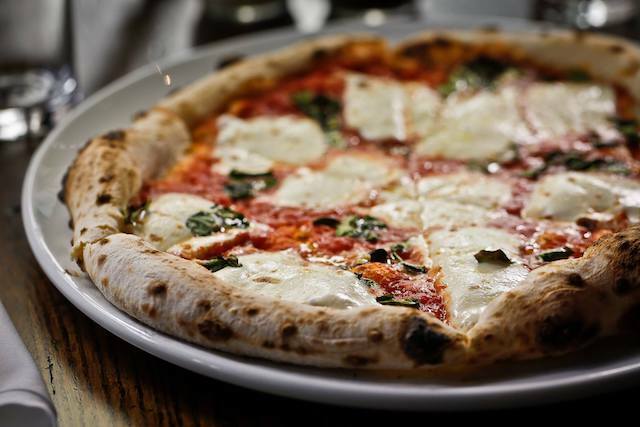 You’ll have to squint, but Delaware and Maryland are the nation’s biggest fans of the Margherita. As it turns out, Wisconsin, followed by Ohio, search the most for veggie-topped pizzas. … while Illinois prefers thin crusts. Not surprising as Deep Dish crusts traditionally run thin despite being a thick pizza. Hawaii and Washington are the biggest fans of this fruity topping. Nebraskans, Iowans, and West Virginians are here to remind you to not skip dessert! All Americans can stand united in their appreciation for a classic cheese pizza! Anything we left out? Let us know in the comments!